Today I write to you with a new view on life. Let me tell you about the new, Argentine Katie, and how I’d like to convene with those of you who may share the same new views as me. I recently returned from an amazing trip with my cousins, aunt, uncle, and their grandmother to Buenos Aires. To be honest with you, I had no idea what to expect and had an amazing time exploring the city, meeting new people, and spending time with my cousin’s girlfriend’s amazing family. While in Buenos Aires, I learned that we wait for EVERYONE to arrive before eating*. I’d like to really pronounce this as “eating asterisk” because what it really means is, let’s have a very large spread of appetizers and drink beer and be joyous until the last person arrives and then let’s still eat a completely normal meal as if we didn’t eat any of those apps. 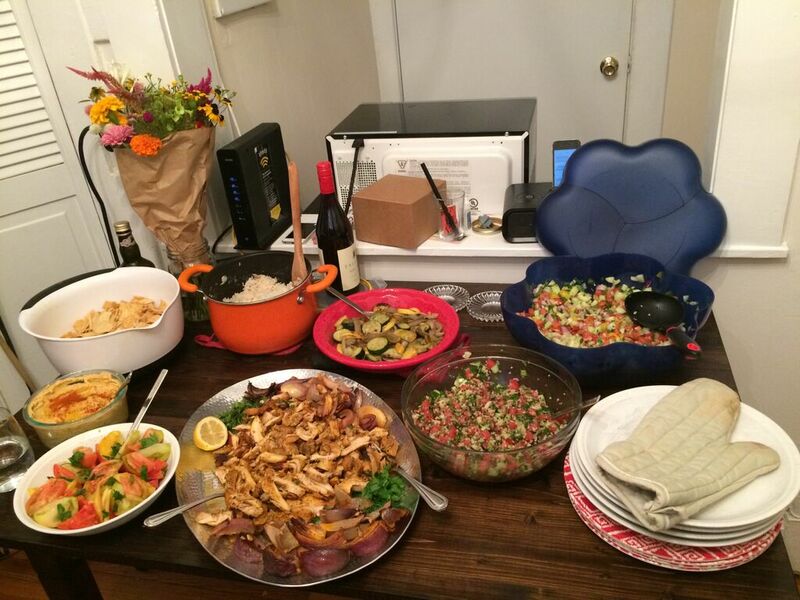 SO, we found out that there is a tradition of serving “picada” before the meal. While I don’t think my family totally figured out what actually is included in the picada (apparently it really means there has to be some specific forms of meat and cheese), we associated it with a few key items. 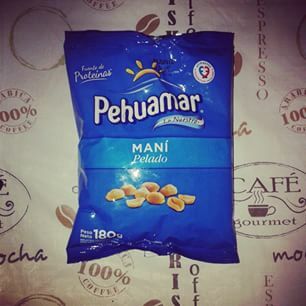 While I did love the olives, cheese, and crackers they served, nothing compared to the saltiest salt-mine bag of peanuts that you could find at any grocery store. We were so amazed at the amount of salt in these snack bags we seriously considering draining them in a colander and saving the leftover salt at the bottom of the bag. This is the ULTIMATE pre-dinner snack which paired well with the Imperial beer. Second, PRINGLES. A great app that also went well with beer. From now on, I’m going to try and find the salt mine peanuts and have pringles when I entertain. These were party starters. Next time I go back, I want to bring this hummus with me and see if they’d like the American tradition to their picada. The only thing is, apparently Argentines don’t like spicy food :/. Until then, more for me! 1. 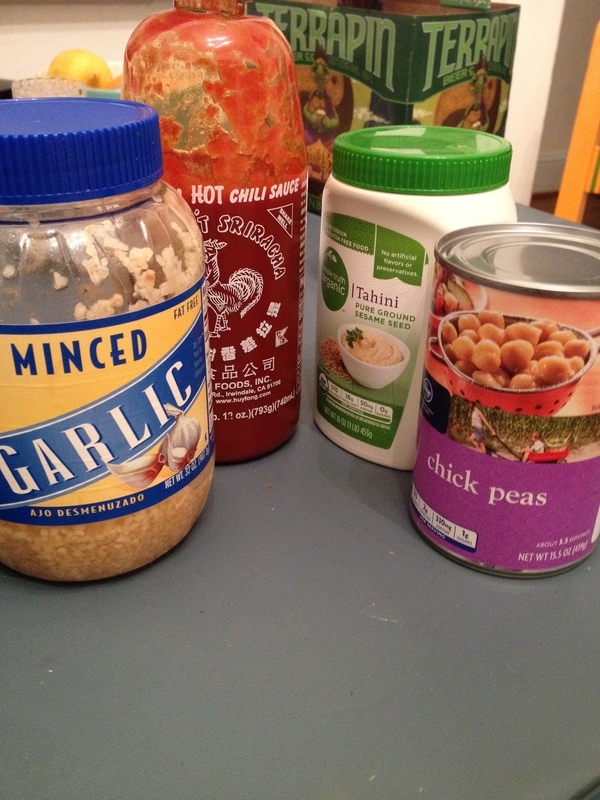 Combine all ingredients except olive oil in the bowl of your food processor, magic bullet, or blender. Preferably you want to use a food processor here, but if you have either of the others they will work. 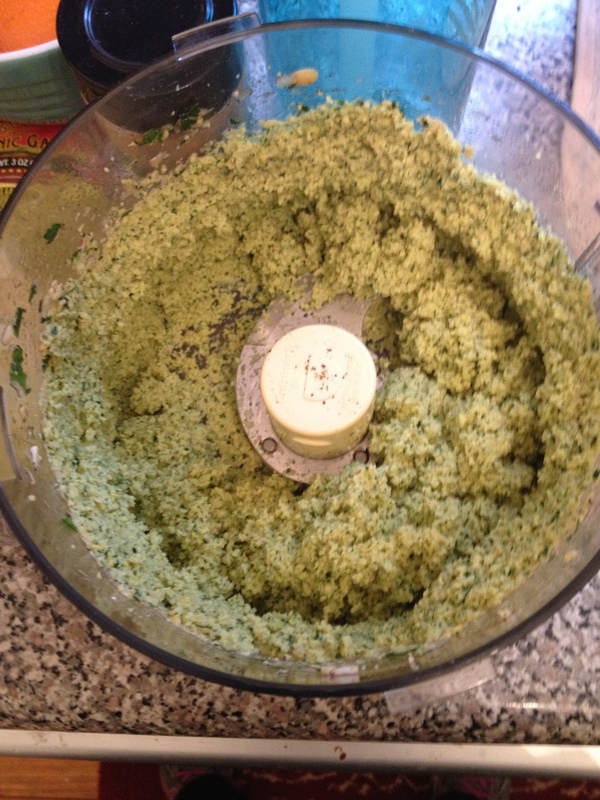 Pulse in the food processor until the mixture starts to become smooth. 2. 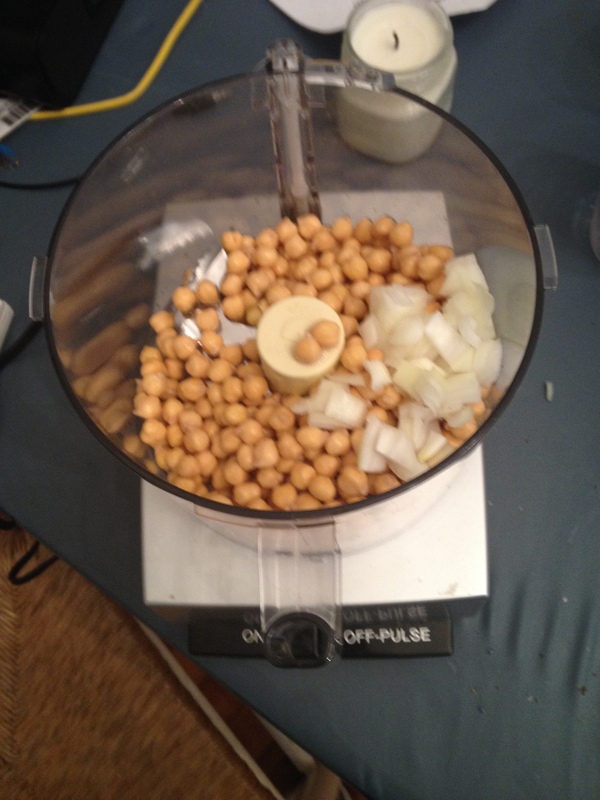 Once you’ve broken up the chickpeas and can see the garlic is small, slowly stream in olive oil. This is the part where you can start with a little bit and add more depending on how thick you like it. Mike likes his on the thicker side so that’s what you’ll see here…it’s on the lower end of the olive oil scale. Puree until smooth or keep a bit chunky if thats how you like it. 3. 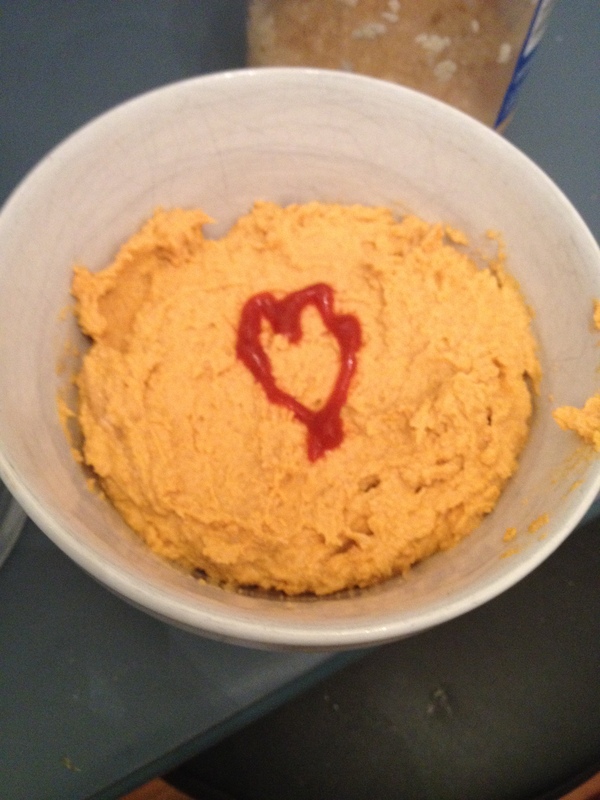 Finish off with a heart-shaped sriracha garnish and a few sesame seeds. 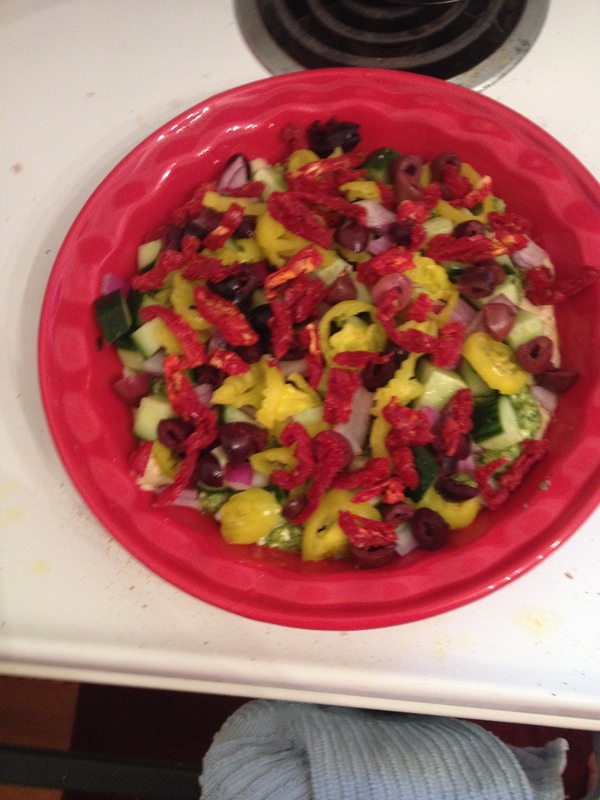 Serve with carrots, pita, cucumbers, or on top of a salad/sandwich. Can’t wait to share the SWEETS I fell in love with in Argentina…I know you’re all on the edge of your chair wondering if I mean desserts or men amirite??? jajaja bon appetit! 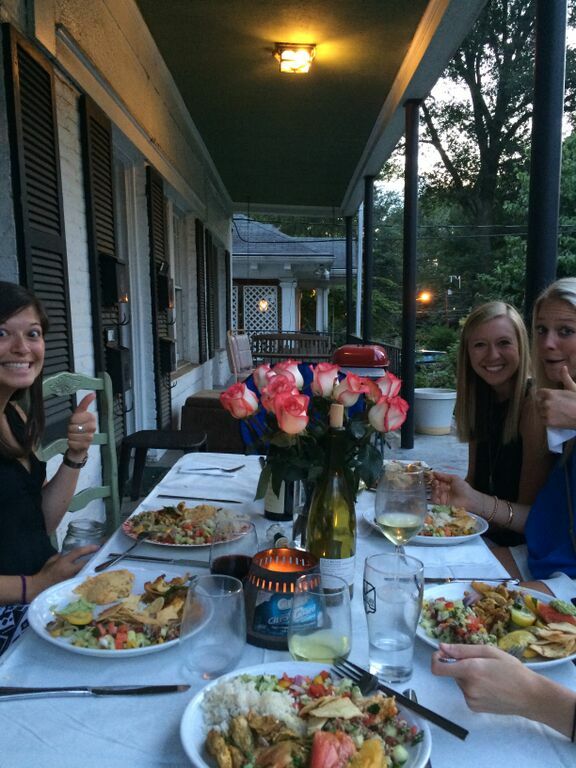 Let me know how the peanut picada works for you next time you have people over! Now what would you say about Spring to your mysterious email-pal? I know my friend Molly would say she’d send somebody a package of freshly cut green grass, as she claims the green lawns of UVA made her commit to going to school there. I might say I’d like to take a music box and capture the sound of birds in the morning or the sound of the whistle from soccer practice. What about the last class before spring break? 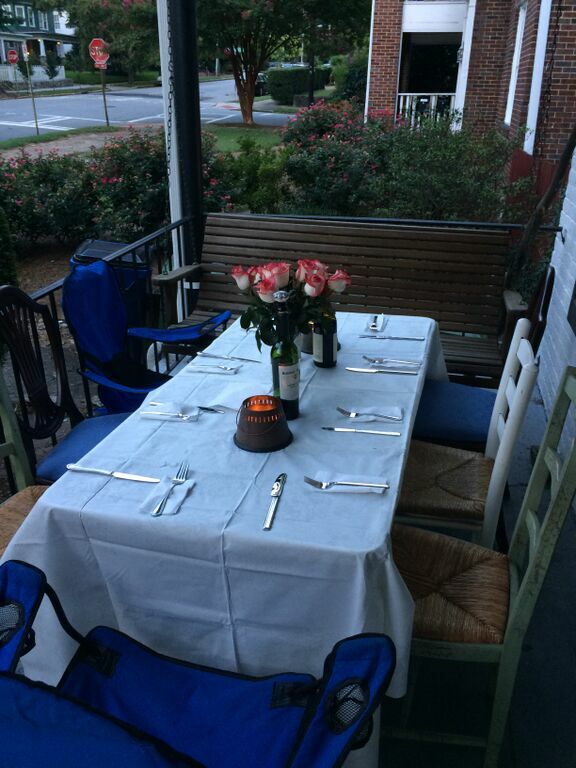 How about the smell of dew hitting your nose as you walk out the door, the fresh scent of lilies, or eating warm ham biscuits with mustard on Easter? Going to Mellow Mushroom after soccer practice, and walking through the gardens at UVA. I love it! In addition to loving spring, I also love a good revival of an old fashion trend to bring back when the weather gets warm. One year it was overalls. This year, I’m feelin the comeback of platform flip flops. Thoughts? And in true spring fashion, I’ve got a green-colored dish for you all. It just so happens that it’s the day before St. Patty’s as well. This year, I went to Savannah for St Patty’s and brought some Guinness cupcakes with me!! Are you an enthusiastic baker who jumps at the chance to make holiday-themed baked goods?? If so, come hang with me. On to falafel. Fa-la-la-la-fel. One of my absolute FAVORITE foods, and also one that I haven’t ever mastered. Falafel is essentially a fried ball of chickpeas and herbs (but in this case baked.) Alas!!! 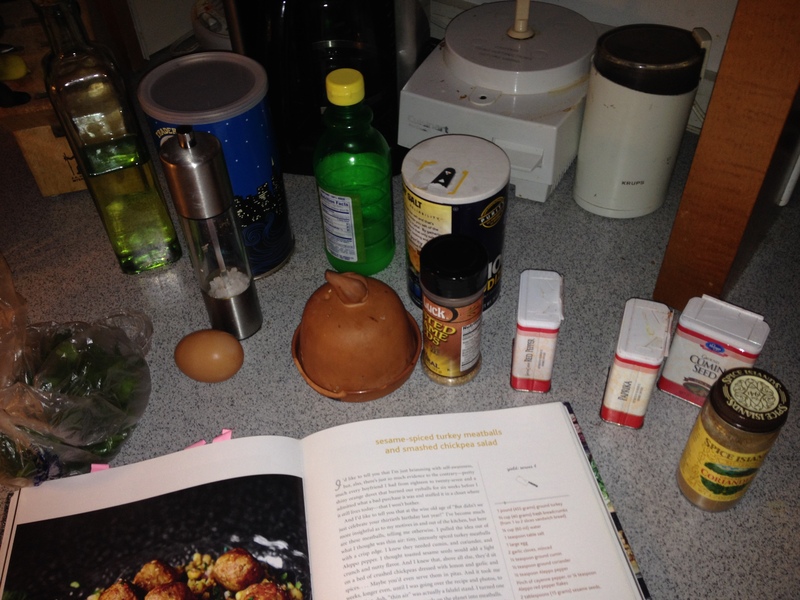 A baked falafel recipe worth sharing from Cookie and Kate, a favorite blog in my home. There’s this place that sells delicious falafel by my office called Ameer’s. 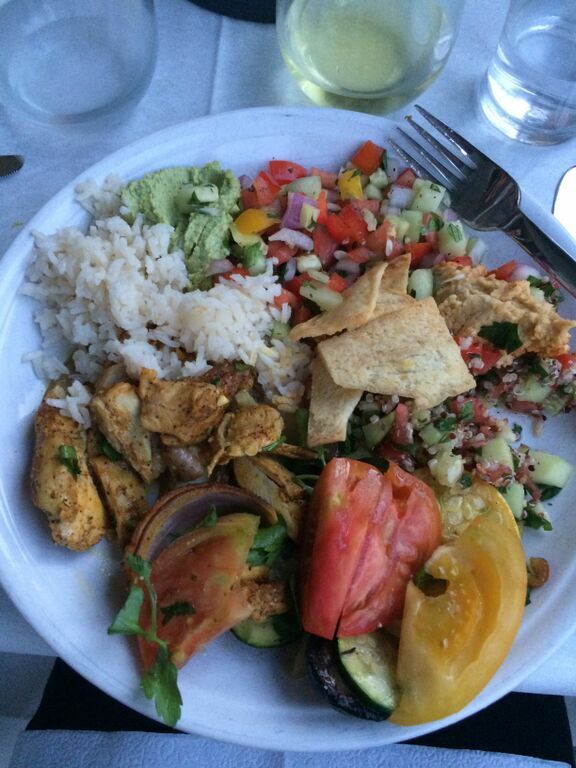 Every time I go, I try to craft a falafel salad which ends with me ordering side salad and falafel appetizer. Awkward meal, no more. 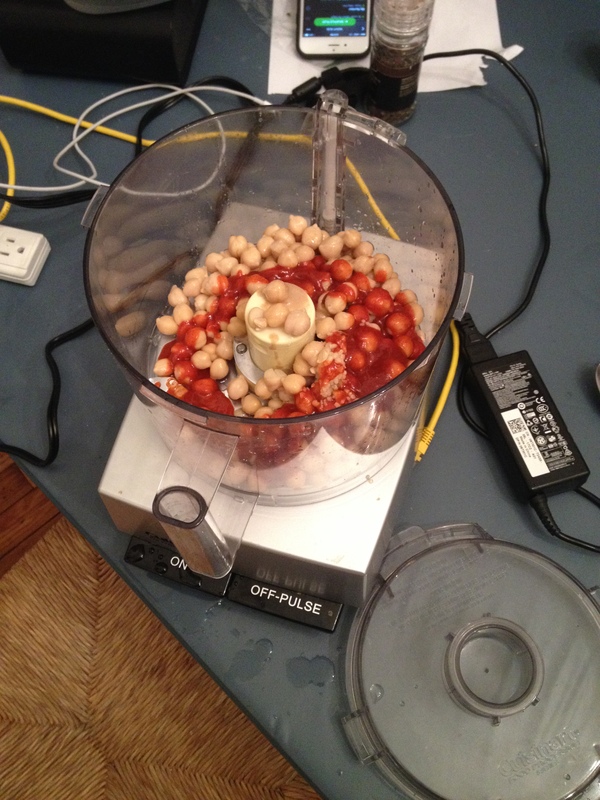 I had heard that to make a homemade version of falafel, it is essential to use dried chickpeas. Well I don’t know if I mastered how to cook dried chickpeas, but I did get a good consistency. Cookie and Kate says to soak the chickpeas for a long period of time, but I think you are also supposed to cook them once they soften. Mine were a little bit dry but all it did was make the falafel more firm. 1. Preheat oven to 375 degrees. Prep two wide skillets with 2 tablespoons olive oil while the oven heats. 2. 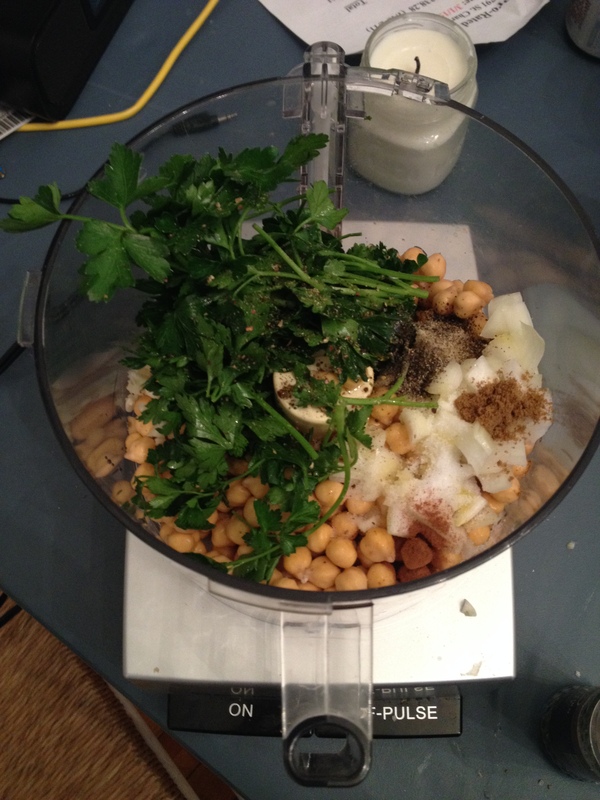 In the bowl of a food processor, combine soaked and drained chickpeas, onion, parsley, garlic, cumin, cinnamon, salt, pepper, and 2 tablespoons of the olive oil. 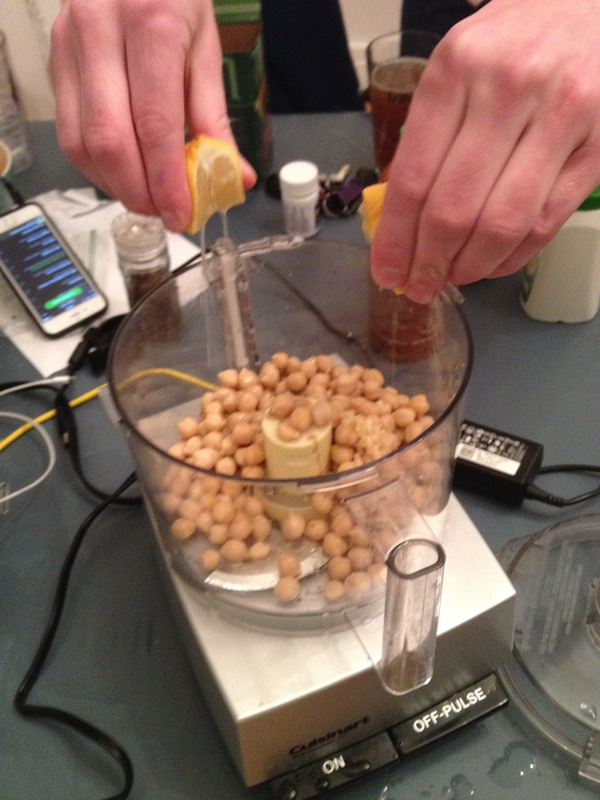 Puree until smooth, 30 seconds-1 minute. 3. Before you start forming the falafel patties, make sure you’ve oiled the pans because otherwise you’re going to have a mess. 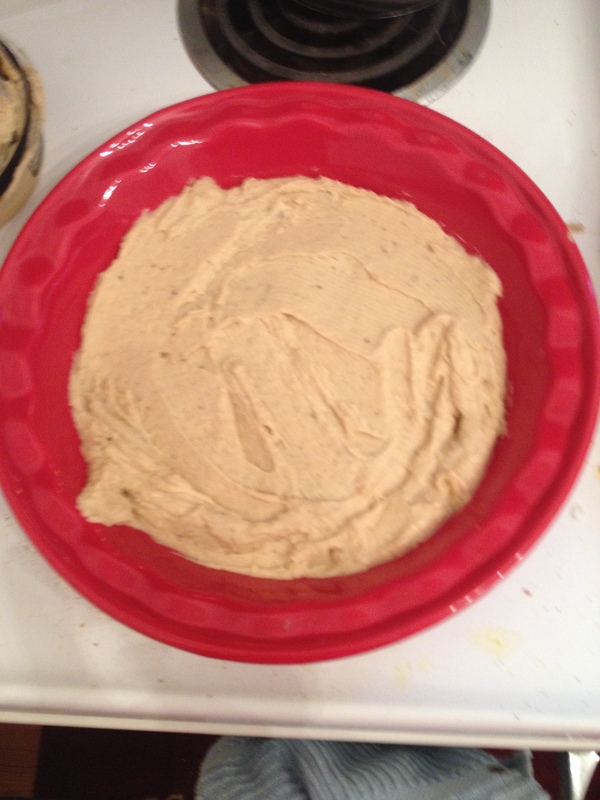 Scoop out roughly two tablespoons of the mixture and roll into a ball first. Then flatten the ball lightly into a patty about 2 inches wide and 1/2 inch thick. 4. 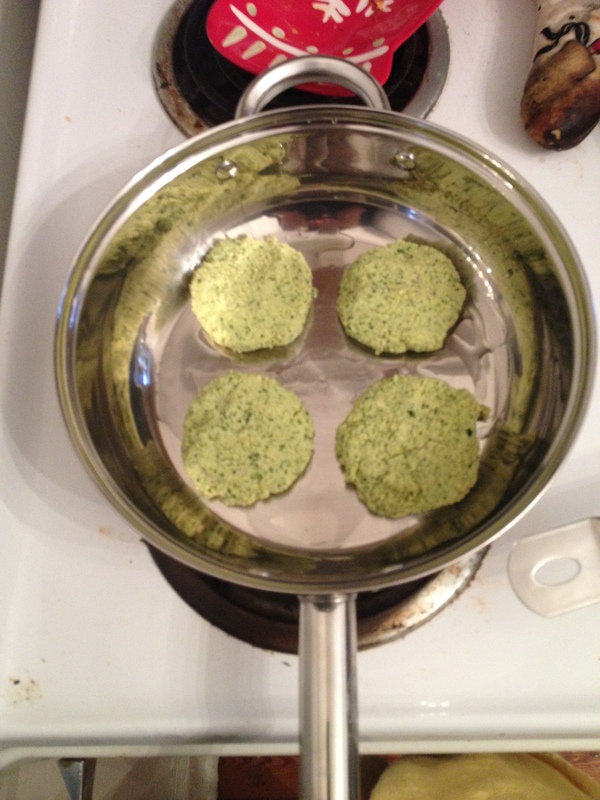 Place each patty into one of your oiled skillets and drop a few sesame seeds on each. 5. 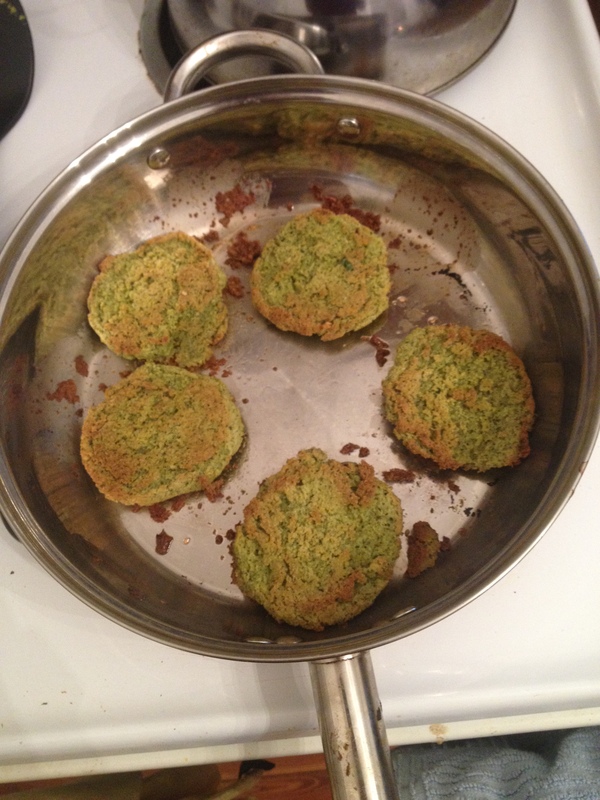 Bake falafel on the middle rack of your oven for 13 minutes on one side. While the first side is cooking, prep your dressing. 6. QUICK DRESSING: Whisk about 2 tablespoons tahini, 1/2 tsp honey, 1 TBS water, a dash of cumin, salt and pepp, 1-2 tsp lemon juice or apple cider vinegar together. 7. Flip your falafel and bake for another 13-15 minutes. I found that for the flip I needed some more oil to get a crispy crust. In reality, this recipe may need more oil all around because I never got them to be super crispy. 8. 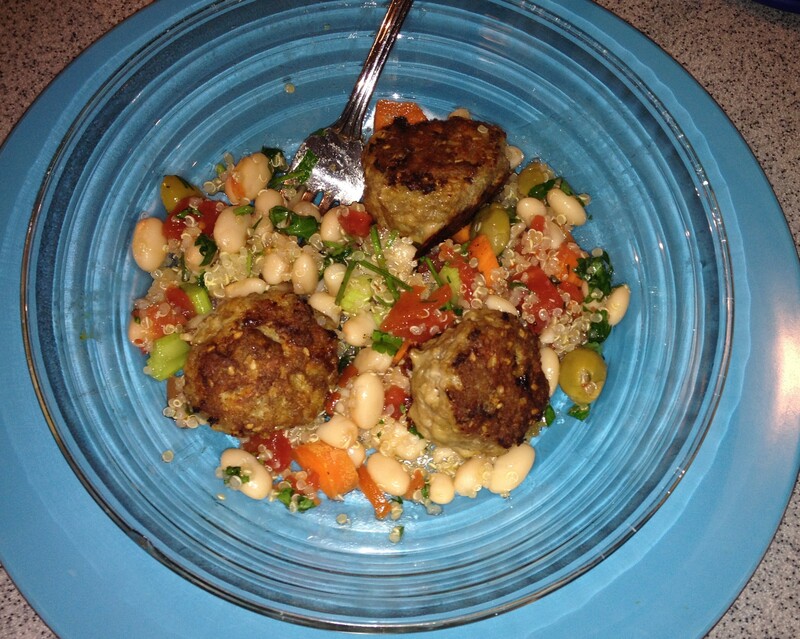 Remove falafel from the oven. Sprinkle lightly with sesame seeds. 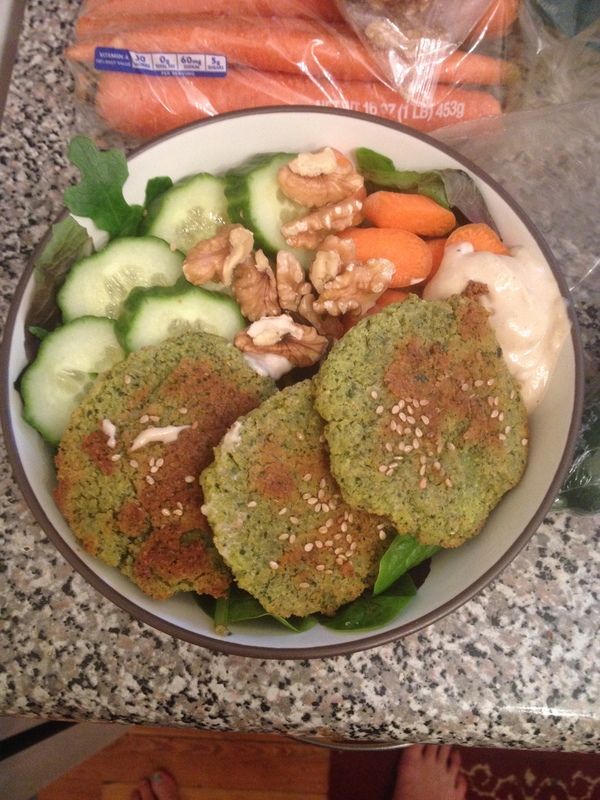 Serve on a bed of lettuce, with chopped cucumber, carrot, tomato if you have it and some toasted walnuts. Drizzle dressing over top or use as a dipping sauce. Enjoy!! Thank you thank you @annies-eats for this recipe! I went to a friend’s house on a lake last weekend and promised to bring a dip along. I haven’t made any dips in a while and wanted to try out something cold since Atlanta summer isn’t the best environment for hot buffalo chicken dip. 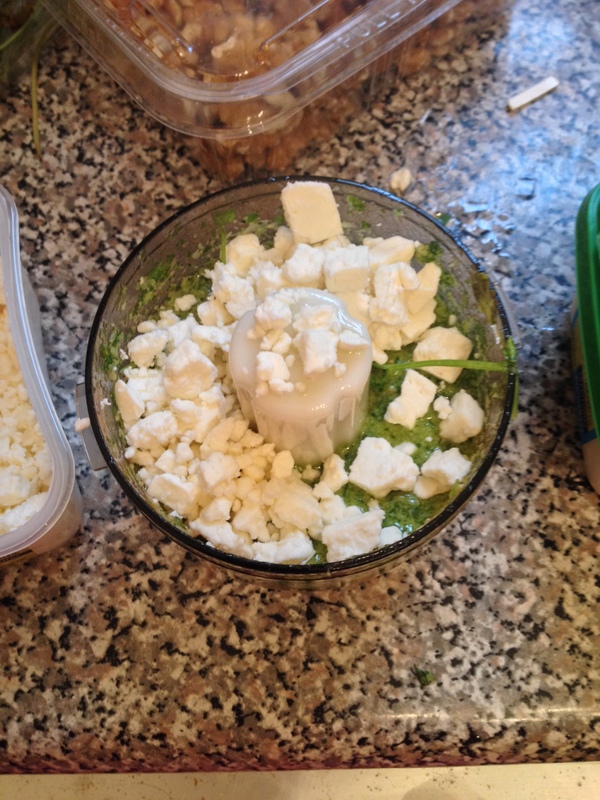 Also – this could be a dairy free dip if you want to eliminate the feta. In my family, we LOVE a Mexican 7-layer dip, so if you’re one of those people who likes a big mound of dip on your chip, tune in! This is pretty versatile too – you could really add a variety of different veggies – bell peppers, small chopped broccoli, some whole chickpeas or roasted chickpeas, etc. 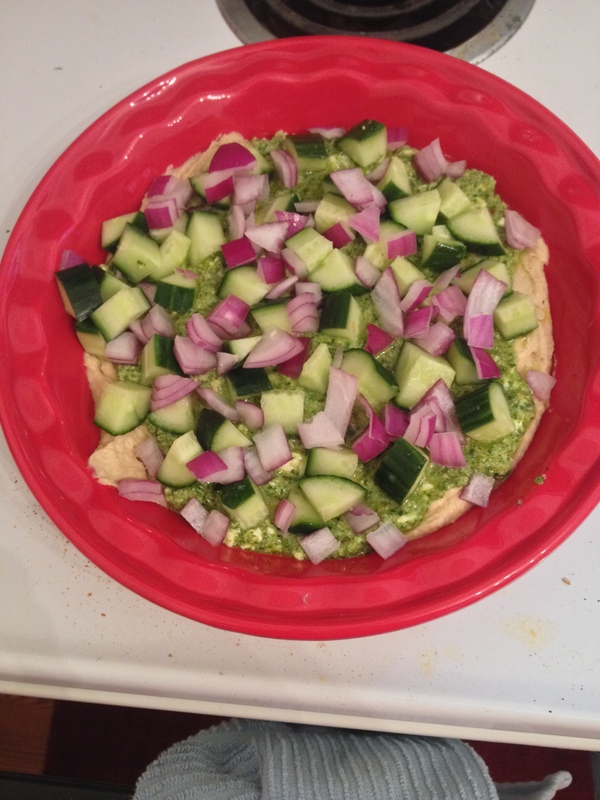 I cheated a bit and used store bought hummus, but I think the homemade pesto and fresh veggies make up for it. I think I’ll be bringing this recipe back for the 4th of July weekend and hopefully trying some different variations. Anyone think there’s some way to make a Chinese 7-layer dip? Penny for your thoughts. 2. Assemble! I used two different kinds of hummus so I spread them both together in the bottom of a pie plate. 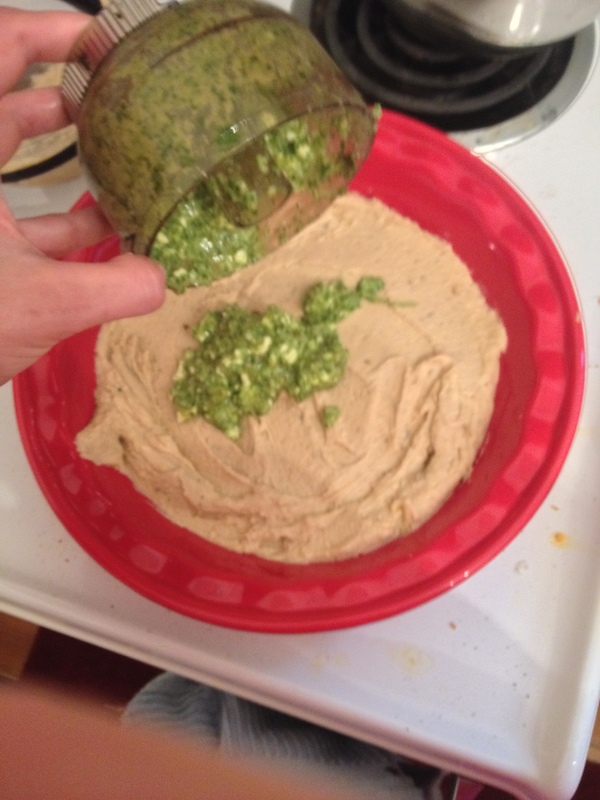 After the hummus, add your cilantro pesto in the middle and spread out in an even layer. 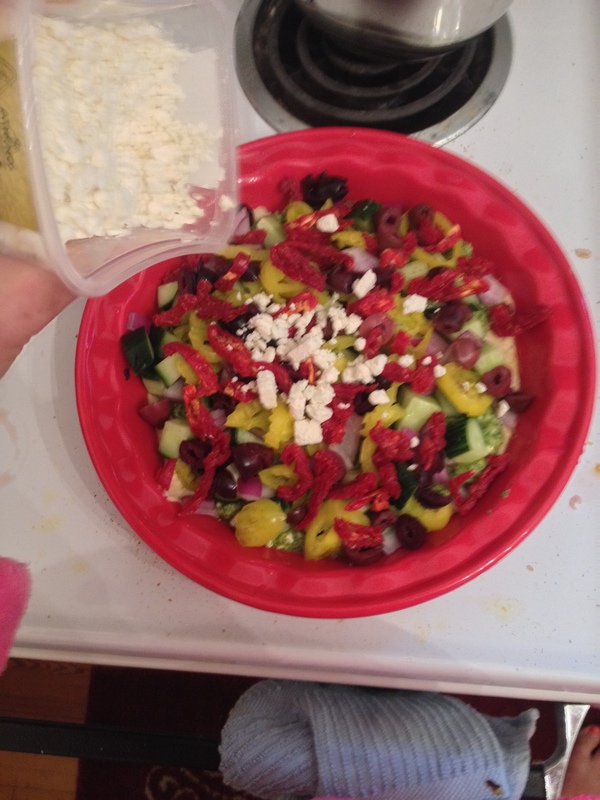 Then add your toppings! 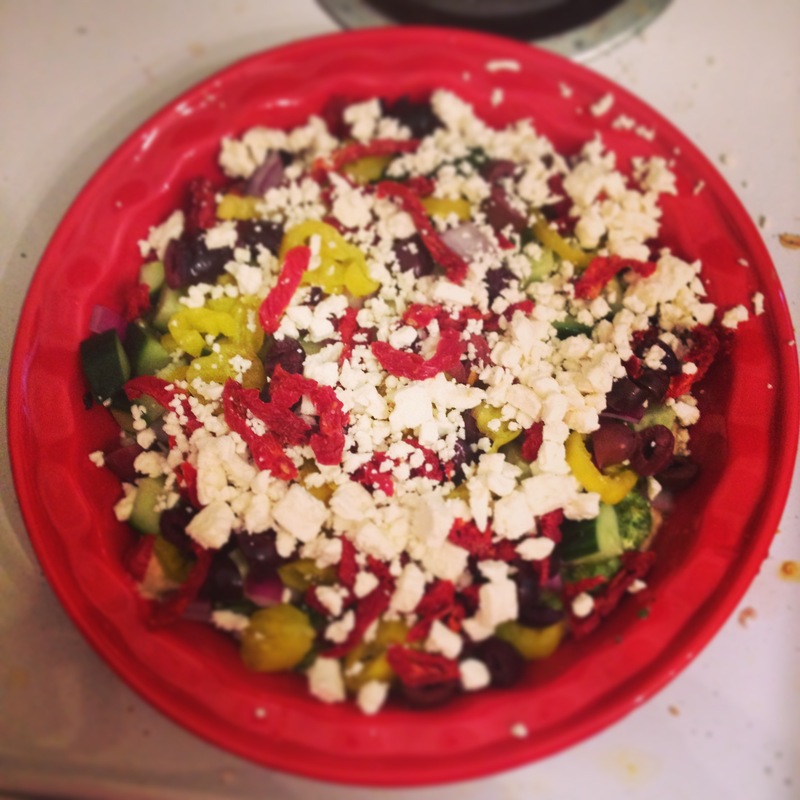 Cukes, red onion, pepps, olives, tomatoes, and you can either end with the feta or add it in batches. So these are adapted from the Smitten Kitchen Cookbook and I’ve made them a bit less spicy than the recipe calls for. 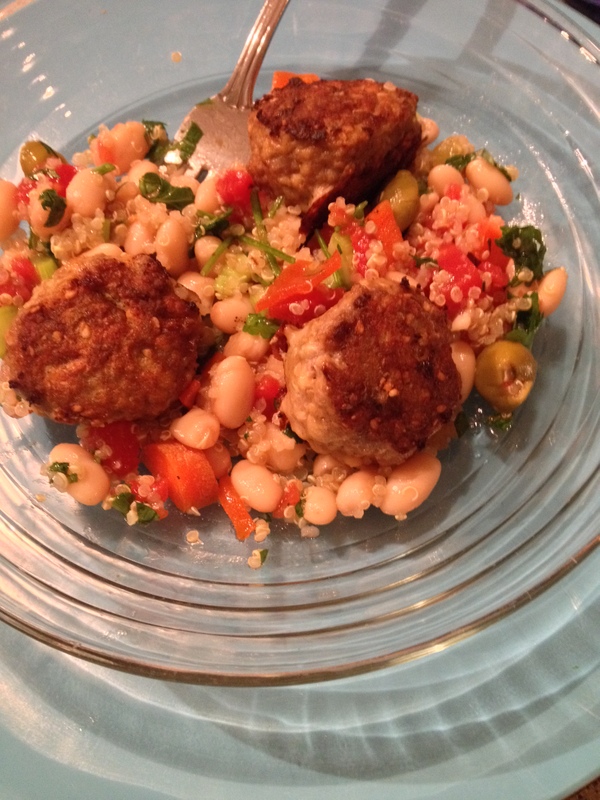 Deb suggests serving these over a smashed chickpea salad, but I really love white beans, so I made a quinoa bean salad. Somehow most of the food I make makes you want to curl up on the couch and snuggle. I think that’s why I’m trying to eat more quinoa. It screams pop culture, civilization, getting on with my healthy self. 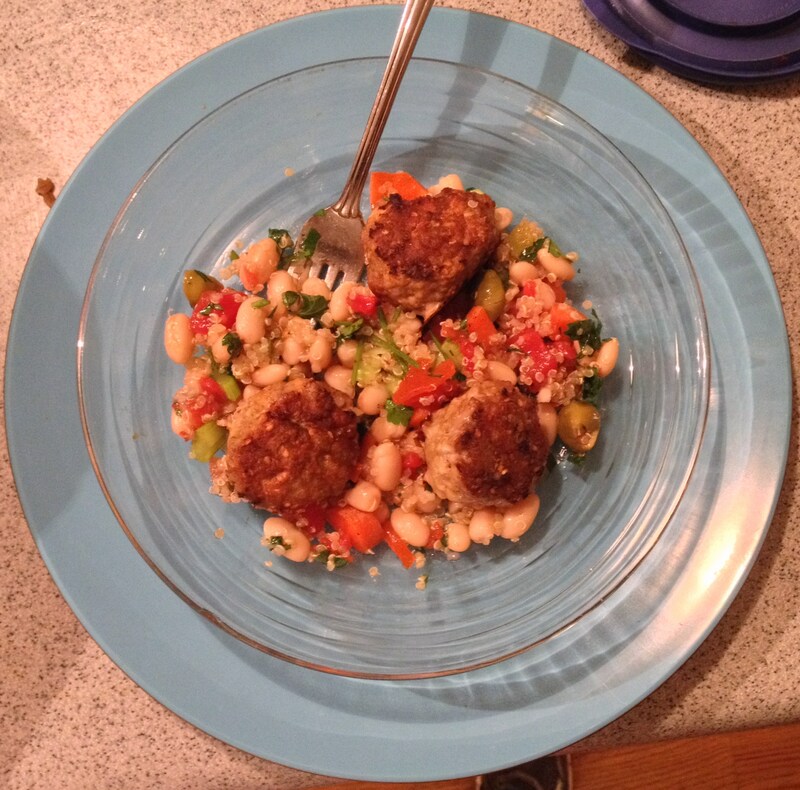 Basically it helps me get off the couch 🙂 Last week I made another version that came out of Mardi Gras angst: black eyed pea, okra, cajun seasoning quinoa salad. Try it! 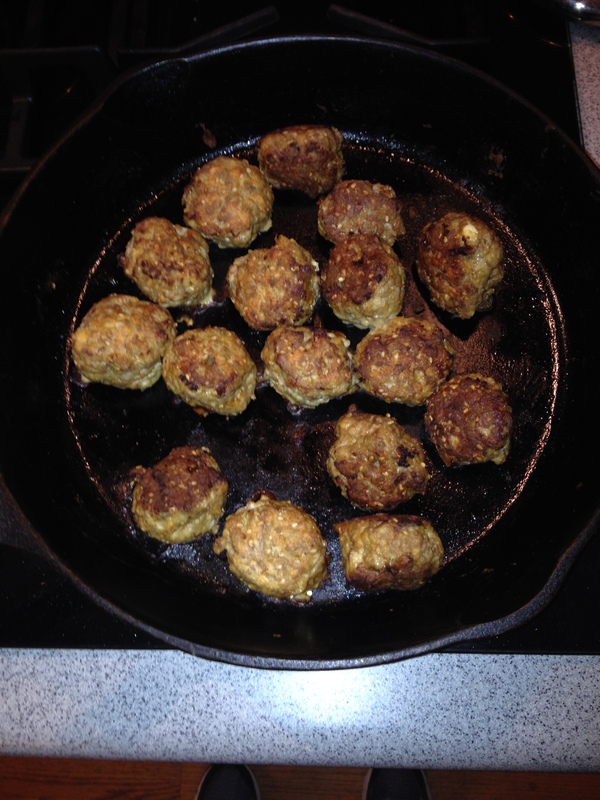 With this meatball recipe comes a chance to use the cast iron skillet! Which just happens to be another chance for me to build some arm muscle (transporting a skillet from stove to oven takes MUCH more effort than I thought). I’ve been thinking a lot lately about why people love pie so much and it kind of makes me think of meatballs too. Go with me for a second. I really think that part of the obsession with pie is its perfect circle shape. Putting something in the oven and it coming out the exact same shape as when it goes in is weirdly comforting. Maybe it’s the blanket of dough on the top that snuggles in the filling that’s so comforting? Anyways I think the same is for meatballs. Some people are kind of weirded out by ground meat, but then others of us love the rich, moist, decadence of a good meatball. Maybe it’s breaking into a perfectly round piece of goodness. Well, now that my understanding of basic shapes is out there, on to the recipe!!! 1. Preheat your oven to 400 degrees and stretch your arms. After stretching, dig out your cast iron skillet and heave it up to the stove. (Yes I do find the stretching important here, lol). 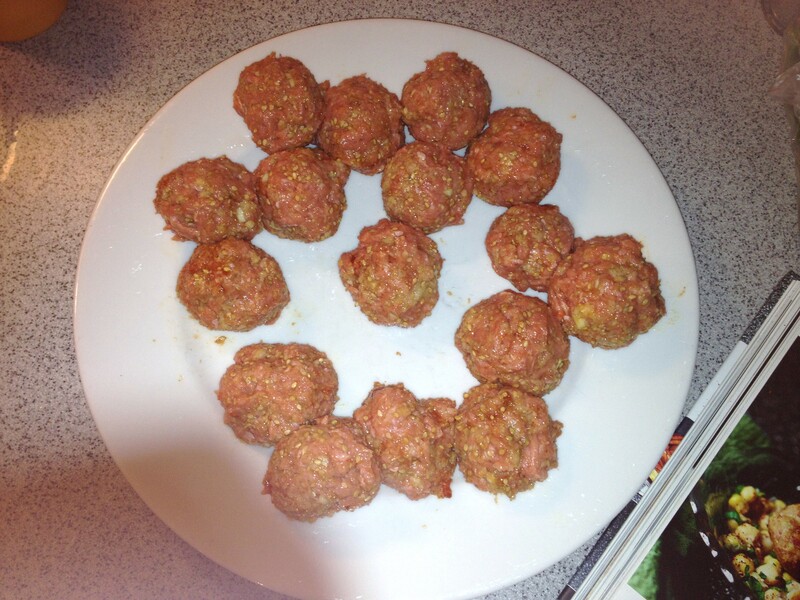 In a large bowl, add all of the meatball ingredients and mix together lightly with a fork, your hands, or a spoon. I say lightly here because you want the meatball ingredients to be evenly spread through out, but with turkey I never like to overmix. 2. Once the mix looks evenly incorporated, get a plate ready for your meatballs. Take a clump of the mix and start to cup your hands into the shape of a meatball. That’s how I like to start to form the ball, then roll it gently between your hands to make the ball compacy. These should be about the size of golfballs. Place them on the plate, waiting to jump into the skillet! 3. 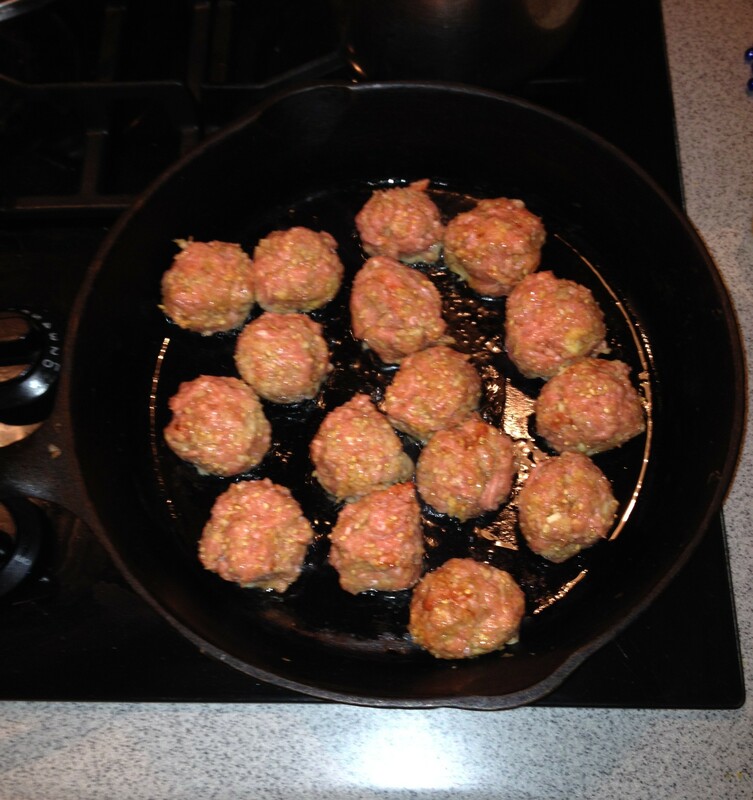 After prepping the meatballs, heat the skillet to about medium-high and pour a thin layer of olive oil on the pan. Add the meatballs carefully (don’t break them!) and give each enough space to brown. I have a 12 inch skillet and managed to fill all of them in one batch, but if they need more room in your skillet, make a few batches. 4. While you’re testing your patience waiting for these to brown, mix up your salad. In your bowl, start with some spoonfuls of quinoa, then add your toppings, I like equal parts of everything, but I get it if you wanna skip the veggies and just have a simple quinoa bed for the meatballs. In a small glass, mix together dijon, honey, vinegar, and lemon juice. Slowly whisk in olive oil to form a dressing. Season with salt and pepper. 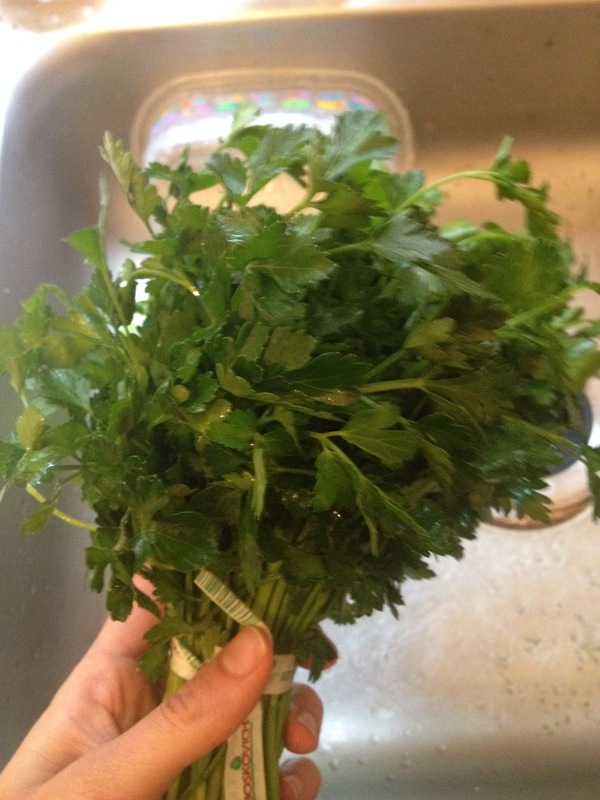 Dress your salad and toss with some fresh sprigs of parsley! 5. After about 3-4 minutes of browning, start to rotate your meatballs to get them browning on all sides. Give the other side another 3 minutes or so to brown. Once the outsides are browned and a lil crispy, turn off the heat and transfer the skillet to the oven using a thick potholder. Muscle-building, here. 6. Cook the meatballs in the oven for between 10-15 minutes, until they reach 160 degrees F. You can test this by sticking a meat thermometer in one of the meatballs. Mine took about 11 minutes. Take out of the oven and serve over your yummy quinoa salad!